If you have a spare tire on the back of your car, but need a bike rack then this is the PERFECT bike rack for you! If you have a spare tire on the back of your car, but need a bike rack then this is the PERFECT bike rack for you! The 2 Bike Spare Tire Bike Rack is designed to be mounted on top of the spare tire on your car and adjustable designs allow this rack to fit tires from 7"-10" wide. 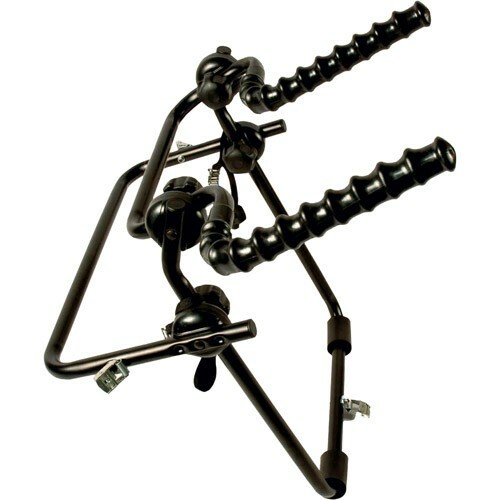 The rubber coated arms can hold up to two bikes and fold down when not in use.